Did 'The Walking Dead' Just Hint at Future Villains, the Whisperers? “The Walking Dead” finally produced the showdown fans have been waiting for between Rick and Negan, bringing an end to the “All-Out War” story. The final battle between Rick (Andrew Lincoln) and Negan (Jeffrey Dean Morgan) saw Rick finally coming out victorious and deposing the Saviors. Although Rick and Negan didn’t kill each other, it does mean that going into Season 9 there’s no clear villain for Rick and his crew to fight against. Also Read: 'The Walking Dead' Finale: What Exactly Was Negan's Plan to Trap Rick? The finale did hint at potential conflict brewing between Rick and his people — specifically, Daryl (Norman Reedus) and Maggie (Lauren Cohan). But it might also have suggested a new group of baddies that appeared in the comics and, up to now, haven’t shown up in the show. That faction of bad guys is known as the Whisperers. They’re unique among the villainous factions in “The Walking Dead” comics. Rather than living in walled colonies or outposts like Alexandria or the Sanctuary, the Whisperers have adapted to life among the walkers. They disguise themselves as the dead and live among the herd, using them as an army and as protection. They’re called “the Whisperers” because they never speak louder than a whisper so as to stay hidden among the zombies. The Season 8 finale might have suggested that the Whisperers are near. Before the final battle with Negan, Rick and his crew of fighters spotted a massive herd of walkers — bigger than anything they’d ever seen before. Rick remarked that things were changing in their world. He’d be right if that herd was actually the home to a brutal group of new enemies, hidden among the dead. Also Read: Did 'The Walking Dead' Finale Just Set Up Maggie as the Next Big Villain? There’s another potential hint about the Whisperers hidden in the episode, as well. 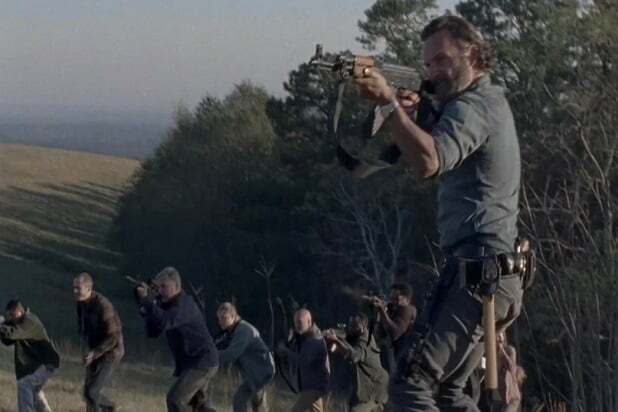 As Rick and his team head to the battle, they pass a series of fence posts. While these might just be the remnant of an old fence, they may also be a marker placed by the Whisperers. In the comics, the Whisperers use posts and pikes to mark their territory against intruders. It’s possible Rick just stumbled onto their border. The Whisperers wear the skins and faces of the dead in order to blend in, and they’re pretty brutal in general. When they encounter the Alexandrians in the comics, the Whisperers cut off a few heads and plant them on pikes to warn Rick and his people to stay out of their territory. Eventually, there’s a huge war between Rick and his people and the Whisperers. It seemed like the TV version of “The Walking Dead” meant to skip the Whisperers entirely, though. For one thing, a big part of the Whisperers story in the comics is Carl (Chandler Riggs), who isn’t dead in the comics but is on the TV show. In the comics, Carl strikes up a relationship with Lydia, the daughter of Whisperers leader Alpha. Without Carl, the Whisperers story would have to change significantly. 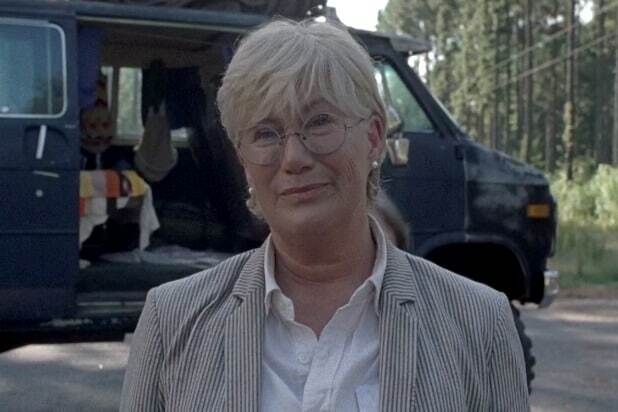 There’s also that helicopter that kept showing up in Season 8, and Georgie (Jayne Atkinson), who offered to give knowledge to the Hilltop in exchange for music and other amenities. Those elements seem to hint at another faction from the comics: the Commonwealth, a settlement Rick’s people discover only after their war with the Whisperers. So it’s a bit of a toss-up where the show is headed next, especially with Maggie and Daryl hinting they might try to overthrow Rick, something that’s not in the comics. But with Negan still alive (something that does happen in the comics), it’s possible the show is still setting up the Whisperers. Negan has a big role to play in the war, and it forces him and Rick to grudgingly work together. That would make sense for a future arc for the fan-loved, and fan-hated, bad guy of Season 8.